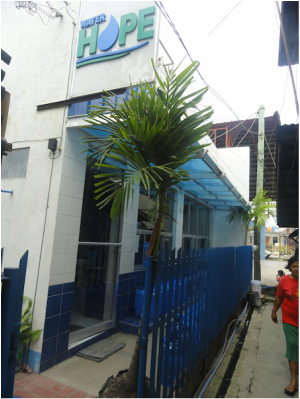 Launched in June 2011, Waterhope Iloilo is being operated by TSKI. It currently as 25 dealers and sells an average of 19,000 liters of water monthly. It also gets support from the North East Timawa local government, Iloilo Doctors College and Hospital, Integrated Bar of the Philippines (Iloilo Chapter), and the Women Lawyers Association (Iloilo Chapter) . The entry of WaterHope with its goals on social development inspired mobilization of the local government. Over the past year, the community has seen drastic improvements in the quality of facilities (drainage, streets, structures) and has encouraged the community to act together to improve their area.